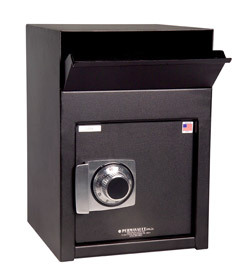 This Front Loading Depository Safe for Confined Spaces is made in the USA. 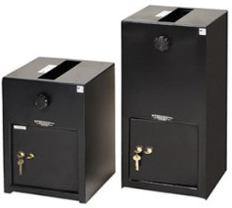 Front load depository is designed as part of the safe and cannot be removed. PV-FL1217-K Convenient styling for confined spaces. 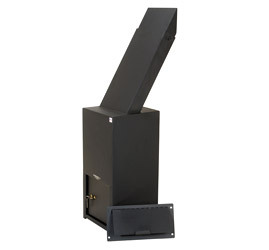 Same heavy duty steel construction as our rotary hopper series 3-1/2″ x 11-3/4″ front load hopper capacity. 17″ x 12″ x 12″ 56 lbs. PV-FL1217-C Convenient styling for confined spaces. Same heavy duty steel construction as our rotary hopper series 3-1/2″ x 11-3/4″ front load hopper capacity. 17″ x 12″ x 12″ 56 lbs. PV-FL1217-E Convenient styling for confined spaces. Same heavy duty steel construction as our rotary hopper series 3-1/2″ x 11-3/4″ front load hopper capacity. 17″ x 12″ x 12″ 56 lbs. PV-FL1225-K Convenient styling for confined spaces. Same heavy duty steel construction as our rotary hopper series 3-1/2″ x 11-3/4″ front load hopper capacity. 25″ x 12″ x 12″ 75 lbs. PV-FL1225-C Convenient styling for confined spaces. 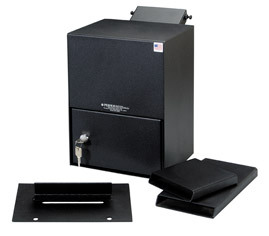 Same heavy duty steel construction as our rotary hopper series 3-1/2″ x 11-3/4″ front load hopper capacity. 25″ x 12″ x 12″ 75 lbs. PV-FL1225-E Convenient styling for confined spaces. Same heavy duty steel construction as our rotary hopper series 3-1/2″ x 11-3/4″ front load hopper capacity. 25″ x 12″ x 12″ 75 lbs.